Your vehicle represents a substantial investment. 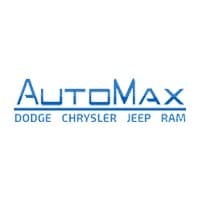 The Service Department at AutoMax Dodge Chrysler Jeep Ram has the service facility, parts, tools, equipment, accessories, diagnostic machines and techniques, personnel, and expertise right here in Del City to keep your vehicle running at peak efficiency. This includes your vehicle’s main components, features, and accessories, and even the correct tire pressure and oil for your vehicle. Our technicians are certified and fully trained in current automotive technology. We work closely with you and with Dodge Chrysler Jeep Ram to make sure you have a smooth and worry free ownership experience whether you bought your vehicle new or used. In addition to Dodge, Chrysler, Jeep, and Ram vehicles, we service most makes and models. We invite you to compare our service, prices, and customer satisfaction to any dealership in Oklahoma! Part of knowing your vehicle is knowing your warranty. We know your vehicle’s warranty coverage and can answer your questions and help you with claims. We will save you time, money, and frustration when you bring your vehicle in for warranty repairs. Whether you live in Del City, Oklahoma City, Edmond, Midwest City, Mustang, Yukon or elsewhere in Oklahoma, we’re here to help you get the most from your warranty. Chances are our Parts Department has the part or accessory you need for your vehicle in stock. If not, we can help identify the correct part and get it into your hands as quickly as possible. Our Parts Specialists understand your vehicle and are ready to serve your automotive needs! For your convenience, our Service Department is only a phone call away at (888) 795-0891. For even more convenience, you can set all your maintenance and service appointments using the service portal on our website 24/7. In addition to allowing you to set service appointments online, our service portal will let you view your service records and show you the factory recommended maintenance for your driving habits on your vehicle. Additionally, we will send you regular maintenance reminders, coupons, and special offers via email or text messages. At AutoMax Dodge Chrysler Jeep Ram, we want to make you a customer for life. We know we will only achieve that when we exceed your expectations for great customer care. We encourage you to read what our customers have to say before you visit. And after your visit, we hope you will take time to leave your feedback! If you have any questions about your Dodge, Chrysler, Jeep, or Ram’s features, warranty, parts, or maintenance requirements, please don’t hesitate to ask. Our goal is to ensure you enjoy a completely satisfactory ownership experience with your vehicle. We look forward to becoming your best resource and partner to help you maintain your vehicle to get the most out of your investment!